(COVINGTON, La.) St. Paul’s School Principal Trevor Watkins has reportedly been spotted frantically blow drying the roads around SPS. 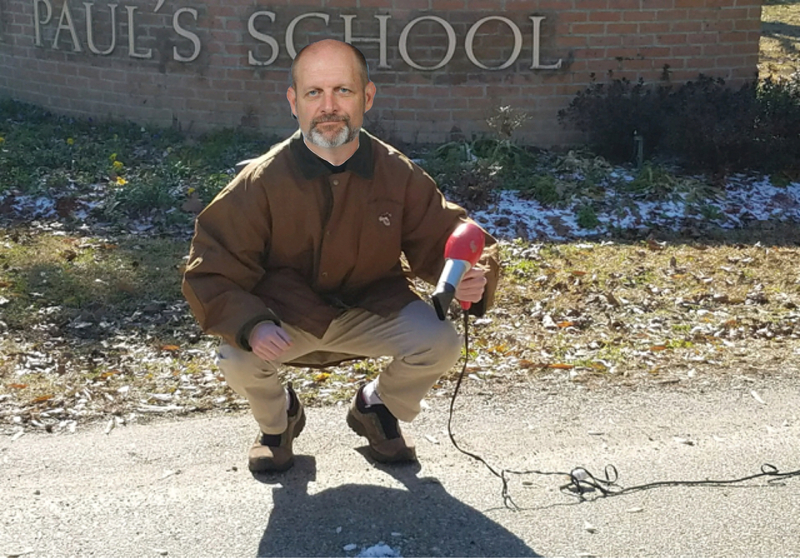 Utilizing a long series of extension cords, Watkins was seen today (Jan. 17) attempting to melt all of the ice from the roads in an apparent attempt to ensure St. Paul’s School would not have to close for a second consecutive day due to snow and ice from Winter Storm Inga. “He could clear a whole block in like 60 seconds. It was actually pretty impressive,” she said. Other members of the St. Paul’s administration are confused but supportive of Watkins’ actions. Watkins allegedly gave a group of confused 8th graders blow dryers and deployed them around campus to expedite the process of clearing away the ice. Watkins was also seen chasing down a group of seniors who were dumping buckets of water onto the roads. Despite Watkins’ efforts, the school announced that the closure would continue for a second day. Well written piece of work. As I was reading I could not stop laughing. As I read each sentence, I was drawn further in. If only his efforts and enthusiasm could be used to clear the way for the busses on the way to Washington DC, they would not have had to stop for the night in Meridian, Ms.
Love love love! Enjoyed a big laugh!